The discovery that several of the Paris attackers were European nationals has fueled concern about Muslim immigrants becoming radicalized in the West. Some politicians have expressed views that the best way to avoid homegrown terrorists is to shut the door. The refugee migration debate turned even more contentious after authorities found a Syrian passport at the scene of the attack. Poland is now turning back refugees, more than half of American governors have vowed to refuse Middle Easterners seeking a new beginning, and US House Speaker Ryan has asked for a “pause” on the federal Syrian refugee program. Fearful reactions to terrorist violence are nothing new. 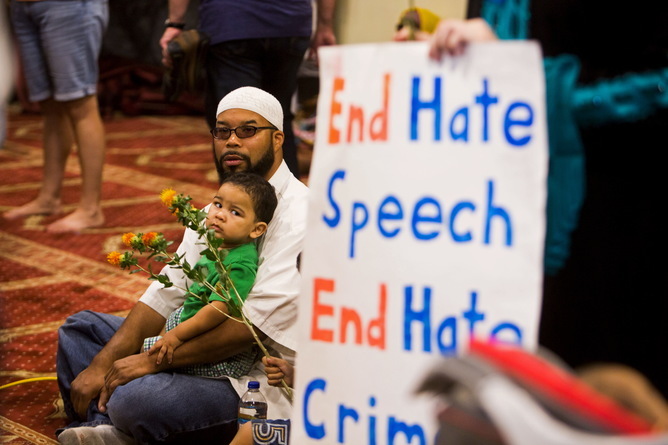 Incidents of extremist activity are often followed by anti-Islam protests or hate crimes. Reports of ISIS luring Western Muslims abroad are followed by a tightening of homeland security policy. Just after the attacks in Paris, presidential hopeful Donald Trump said that he would be willing to close mosques in the US. Such displays of intolerance can make Muslims feel like they don’t belong in Europe or the United States. Our research, forthcoming in Behavioral Science and Policy, and in partnership with the World Organization for Resource Development and Education, shows that making Muslims feel this way can fuel support for radical movements. In other words, many Western policies that aim to prevent terrorism may actually be causing it. In our research, we asked hundreds of Muslims in Germany and the US to tell us about their experiences as religious and cultural minorities, including their feelings of being excluded or discriminated against on the basis of their religion. We also asked how they balance their heritage identities with their American or German identities. We wanted to know if these kinds of experiences were related to their feelings toward radical groups and causes. There are a lot of practical and ethical barriers to studying what makes someone become a terrorist. We normally don’t know who terrorists are until after they’ve committed an attack. By then, we can only rely on after-the-fact explanations as to what motivated them. We can’t perform a controlled laboratory study to see who would participate in an act of terrorism. In surveys, we can’t ask someone straightforwardly how much they would like to join a radical movement, because most people who are becoming radicalized would not answer honestly. Instead, we measured a couple of indicators of support for radicalism. We asked people how willing they would be to sacrifice themselves for an important cause. We also measured the extent to which participants held a radical interpretation of Islam. For example, we asked whether it’s acceptable to engage in violent jihad. Finally, we asked people to read a description of a hypothetical radical group and tell us how much they liked the group and how much they would want to support it. This hypothetical group consisted of Muslims in the US (or Germany, in the German study) who were upset about how Muslims were treated by society and would stop at nothing to protect Islam. Overall, support for these indicators of extremism was very low, which is a reminder that the vast majority of Muslims do not hold radical views. But the responses of some people showed they felt marginalized and identified with neither the culture of their heritage nor the culture of their adopted country. We described people as “culturally homeless” when they didn’t practice the same customs or share the same values as others in their adopted culture, but also felt different from other people of their heritage. We found that people who said they were torn between cultures also reported feeling ashamed, meaningless and hopeless. They expressed an overall lack of significance in their lives or a feeling that they don’t really matter. The more people’s sense of self worth was threatened, the more they expressed support for radicalism. Our findings are consistent with a theory in psychology that terrorists are looking for a way to find meaning in their lives. When people experience a loss to their sense of personal significance – for example, through being humiliated or disrespected – they seek out other outlets for creating meaning. Extremists know and exploit these vulnerabilities, targeting Muslims whose sense of significance is low or threatened. Radical religious groups give these culturally homeless Muslims a sense of certainty, purpose and structure. For people who already feel culturally homeless, discrimination by the adopted society can make matters worse. In our data, people who said they had been excluded or discriminated against on the basis of their religion experienced a threat to their self-esteem. The negative effects of discrimination were the most damaging for people who already felt culturally homeless. Our results suggest that cultivating anti-immigrant or anti-Islamic sentiment is deeply counterproductive. 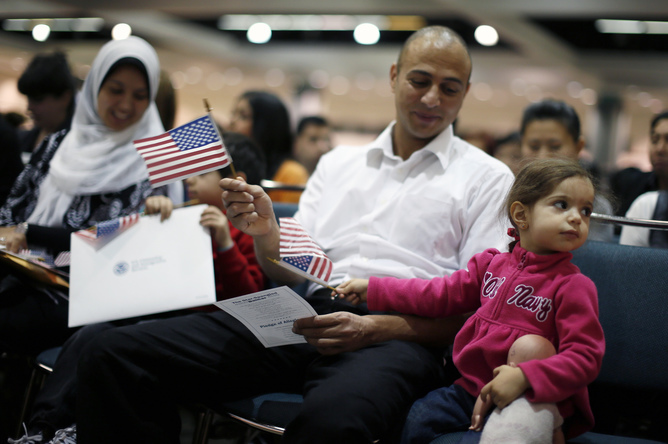 Anti-immigrant discourse is likely to fuel support for extremism, rather than squelch it. To decrease the risk of homegrown radicalization, we should work to improve integration of Muslim immigrants, not further isolate them. This means welcoming Syrian refugees, not excluding them. It means redefining what it means to be American or German in a way that is inclusive and doesn’t represent only the majority culture. It means showing interest in and appreciation for other cultural and religious traditions, not fearing them. According to our data, most Muslims in the United States and in Germany want to blend their two cultures. But it is difficult to do this if either side pressures them to choose. We should not confuse integration with assimilation. Integration means encouraging immigrants to call themselves American, German or French and to take pride in their own cultural and religious heritage. Our data suggest that policies that pressure immigrants to conform to their adopted culture, like France’s ban on religious symbols in public institutions or the “burqa ban,” are likely to backfire, because such policies are disrespectful of their heritage. In the United States, the pressure to conform comes in the implicit meaning of the “melting pot” metaphor that underlies our cultural ethos. This idea encourages newcomers to shed their cultural uniqueness in the interest of forging a homogeneous national identity. In comparison, the “mixed salad” or “cultural mosaic” metaphors often used in Canada communicate appreciation for cultural differences. In Germany, immigrants without sufficient German language skills are required to complete an integration course, which is essentially a tutorial on how to be German. Interestingly, we found that the more German Muslim participants perceived that Germans wanted them to assimilate, the less desire they had to do so. We also see these identity struggles in Muslim communities in France, where “being French” and “being Muslim” are thought to be mutually exclusive. Our findings point to a strategy for reducing homegrown radicalization: encouraging immigrants to participate in both of their cultures plus curbing discrimination against Muslims. This strategy is better for both immigrants’ well-being and adopted cultures’ political stability. For an example of how this can be done successfully, look to a jihadist rehabilitation program in Aarhus, Denmark, where the police work with the Muslim community to help reintegrate foreign fighters and find ways for them to participate in Danish society without compromising their religious values. Communities can make it harder for terrorists to recruit by helping the culturally homeless feel more at home.